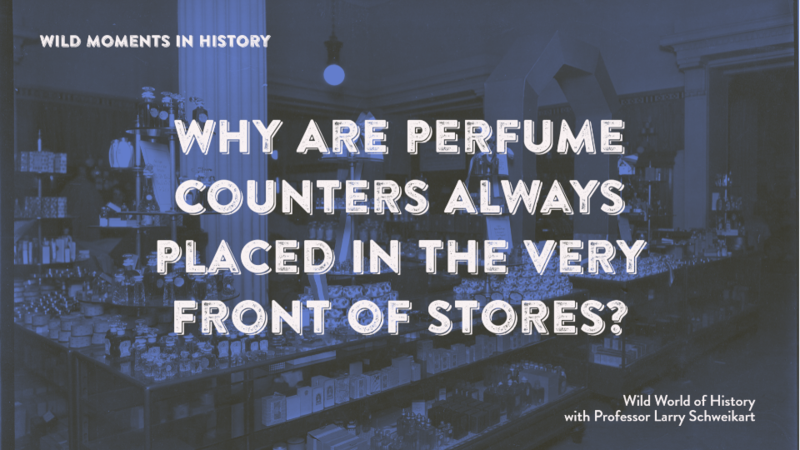 Did you know why perfume counters were always placed in the very front of department stores? In the 1800s, cities were filthy and extremely smelly. Horses, cattle, dogs, pigs, goats were common in cities, and a horse urinates many gallons per day and has several pounds of, er, excrement on a given day. These smells permeated the entire city. Department stores had to combat this. They did not want the horrific smell affecting the shopping experience. After all, stores such as Wanamaker’s were in the forefront of store window advertising to get people into their stores. The solution? Put the perfume section at the very front of the store! It’s a tradition that remains to the present.